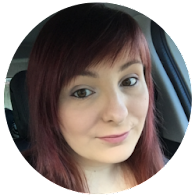 Sometimes you can find that the funds aren't so easily available for this pricey necessity, more so if you have multiple children and you could do with that little helping hand in the form of a payday loan. In our particular school, logoed uniform isn't actually mandatory but I can't help but want at least one school cardigan with a logo for school pictures and such. This alone will set us back £15! 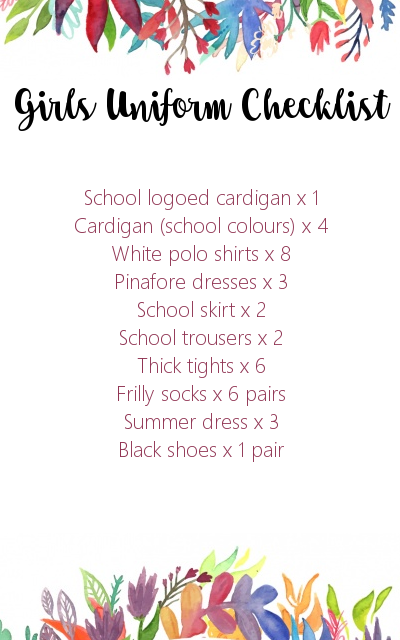 There are lots of deals on in supermarkets currently where you can pick up school uniform for less than £10 a set including a jumper or cardigan, a pack of polo shirts and a pair of trousers. Although this is the case, I can't see one set of uniform being enough for a full week when you take into consideration children being messy, painting and spilling food. You know, kids being kids. Similarly, you can pick up cheap school shoes for around the £5 mark but I don't think I could rate them. We buy thick soled, quality shoes usually from start rite or Clarks which set us back closer to the £35 mark. 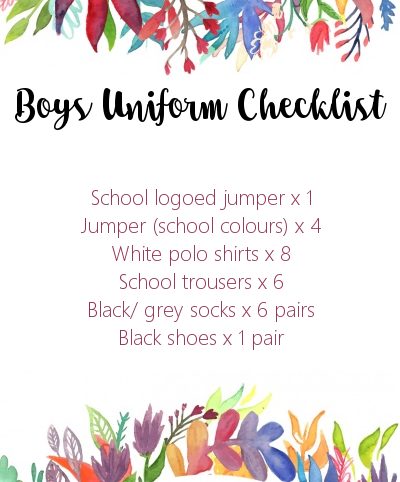 Although this is my first year with a child in full time school, we opted for the optional school uniform last year during nursery which gave me a small insight into what we will need this year. 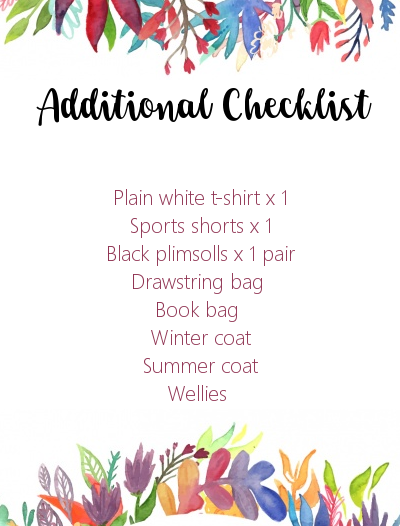 I've written my opinion on what I have bought for my children (or would if I had boys), everyone knows their child personally so please take that into consideration when reading through my checklists below. Here in Greater london/Surrey the schools are so different and sets me back about £200 per term! My son's school is very strict with uniform and EVERYTHING has to be logo. Jumpers, polos,sports t-shirt,book bag ect.. trousers must be dark grey and socks only black or grey. The logo jumpers alone are roughly £11 each. They also require 2 pairs of shoes for school ( not including plimsoles) one pair for outdoor wear and one pair for indoor wear. When in reception they have to wear navy tracksuit bottoms from the school website because the colour has to be identical to the school jumpers. Although my sons school is an academy the area itself is the same. Oh my! I'm glad our school aren't as strict but I can imagine how that must hurt financially! Great checklists!!! This is really useful thankyou!! !